Masterton Medical supports a community outreach marae based clinic at Te Rangimarie Marae in Cole Street. This has been an important part of the Masterton community since 2004. It is used by families who prefer to see a doctor and nurse in a Marae setting and the service runs on a Koha (donation) basis, so it is very affordable. The clinic is funded by the Wairarapa Community Primary Health Organisation and Masterton Medical. 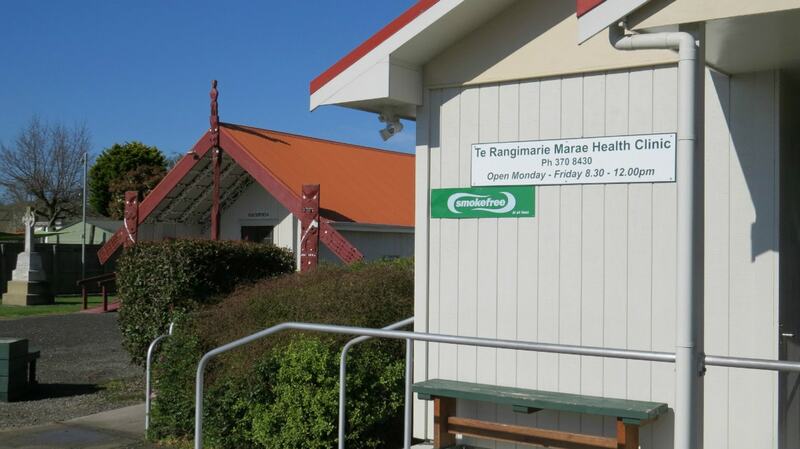 Te Rangimarie Marae Whanau have supplied purpose built clinic rooms to house the GP and nurse service. It tends to be very busy and works on a different system to Masterton Medical, in that patients turn up and wait to be seen, rather than book an appointment. Most of the services offered at larger medical centres are provided, such as illness or infections, vaccinations, Chronic condition care, cervical smear tests, general health issues etc. We use Tikanga Maori principles in our work with Maori families, and encourage participation of the whole whanau in healthcare. Community and Maori Health Providers often refer to our service, and we refer back to theirs. This allows patients to have a support system in place to get to clinics, pharmacies and follow up visits to see us again if necessary. After hours care ie when closed at weekends is managed by Masterton Medical. The clinic hours are Monday, Tuesday, Thursday and Friday 8.30am to 12.30pm and Wednesday 9.00am to 12.30pm. Dr Cath Becker, Dr Amanda Freeman and Dr Erin Henare are the regular GP team working at the Marae Clinic along with nurse Andrea. They are often assisted by the current GP Registrar, and this is a useful adjunct to their training and useful extra hands when the clinic is busy.